As Research in Motion fans await the unveiling of new BlackBerry 10 powered handsets next week, the company has extended a $10,000 developer incentive prize after receiving a "remarkable" number of submissions. Research in Motion is paving the road for new BlackBerry 10 smartphones to be launched on January 30 with the announcement that developers have an extra month to submit apps for the company's Built for BlackBerry challenge. As noted on the Inside BlackBerry Developer Blog on Monday, the original deadline of January 21 has been shifted to 8pm EST on February 8, citing the "large volume of apps" being submitted for consideration. 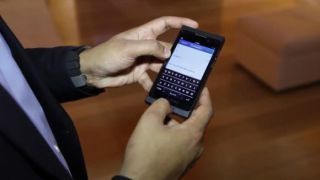 RIM announced via Twitter that 19,071 apps were submitted to the company's rebranded BlackBerry World during the first 36 hours, a number RIM hopes to increase to 70,000 by launch, according to Engadget. Research in Motion's program encourages developers to create apps for the new BlackBerry 10 platform, guaranteeing them a minimum of $10,000 in the first year for titles that generate at least $1,000 revenue during that time. The BlackBerry maker will pay the difference between what developers earn in the first 12 months and its $10,000 cap, also waiving the usual submission fees for apps submitted during the challenge. It remains to be seen how many of those apps will actually wind up being slick enough for BlackBerry 10 owners to use on a daily basis, but it's encouraging that RIM has developers' backs at such a crucial stage.